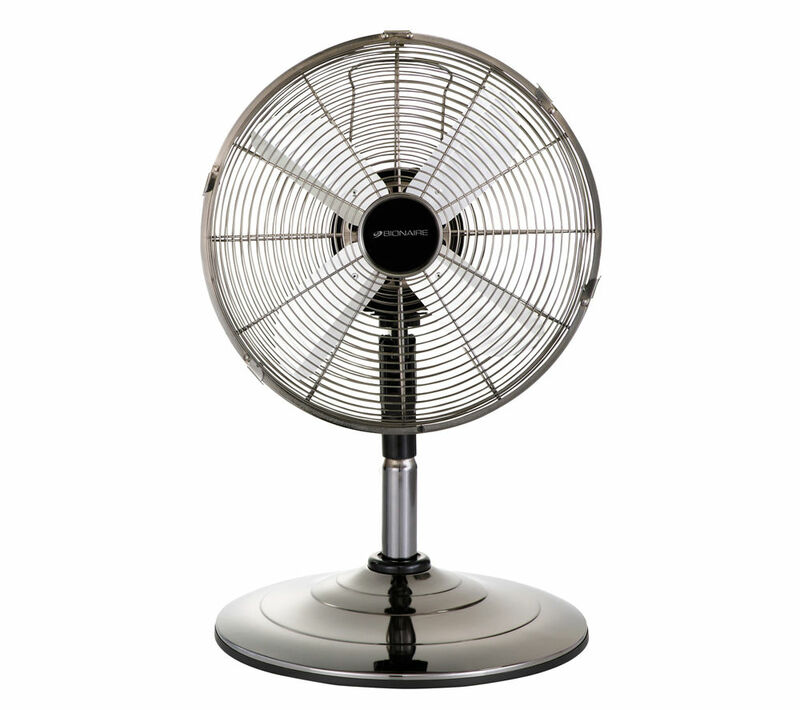 Versatile and stylish, the chrome Bionaire BASF1516-IUK 2-in-1 Desk & Pedestal Fan will keep you cool at work or at home. Get the best of both worlds with the BASF1516-IUK and configure it as either a desktop or pedestal fan for maximum cooling, wherever you need it. The telescoping adjustable pole extends from 48 cm to 96 cm letting you find the perfect height to stay cool and comfortable. Choose any of the three speed settings and cool a large area thanks to the stylish chrome finished BASF1516-IUK's wide angle oscillation. Stay cool efficiently with the patented blade technology allowing maximum air circulation for a cooler, more relaxing environment. 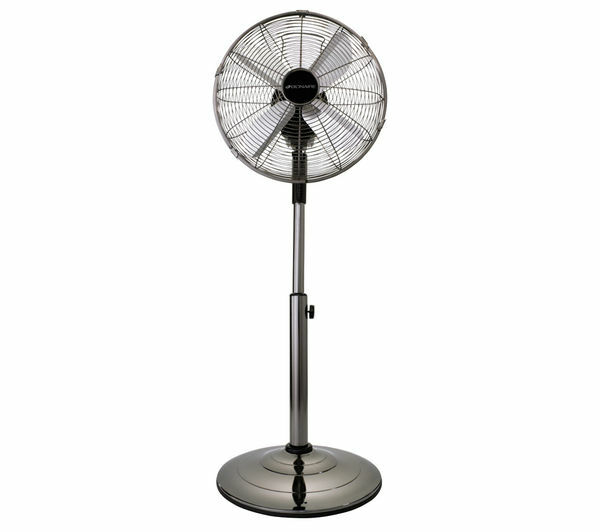 Use the attractive Bionaire BASF1516-IUK 2-in-1 Desk & Pedestal Fan for a stylish way to beat the heat.